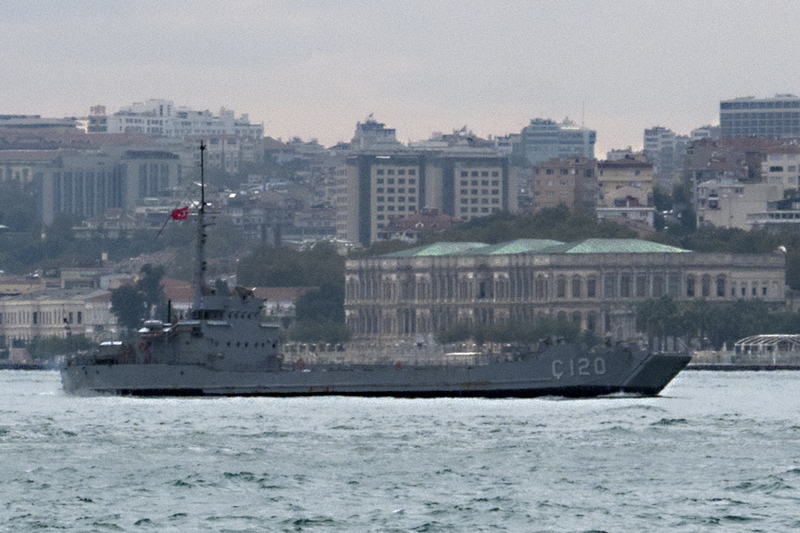 Turkish patrol boat P-127 TCG AB-27 passing through the Bosphorus. Turkish patrol boat P-129 TCG AB-29 passing through the Bosphorus. 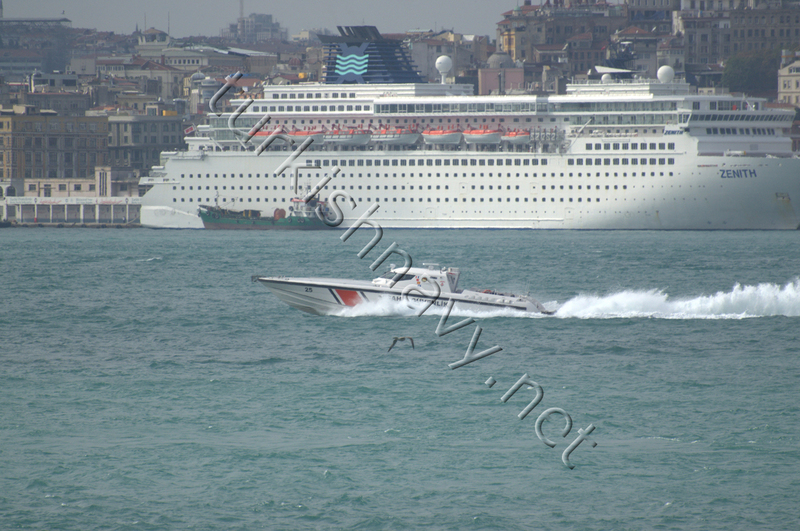 Turkish Coast Guard interceptor SG-25 TCSG-25 passing through The Bosphorus. 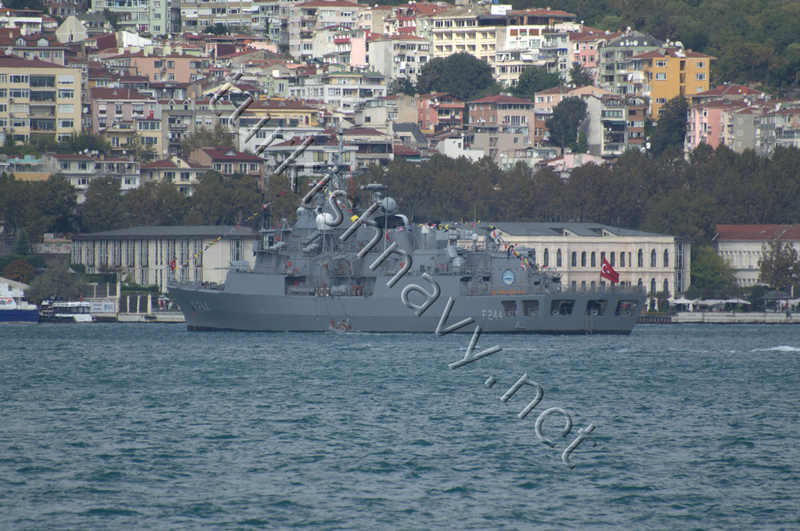 Turkish frigate F-244 TCG Barbaros in Istanbul to celebrate the reopening of the Naval Museum in Istanbul. Turkish frigate F-244 TCG Barbaros in Istanbul to celebrate the reopening of the Naval Museum in Istanbul. Photo: Kerim Bozkurt. Used with permission. 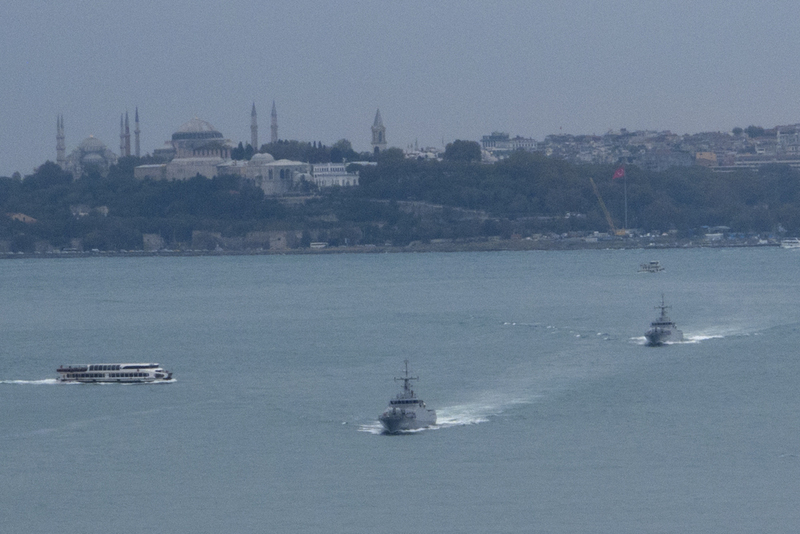 Two patrol boats and one landing craft passing through Bosphorus. Photo: Kerim Bozkurt. Used with permission. 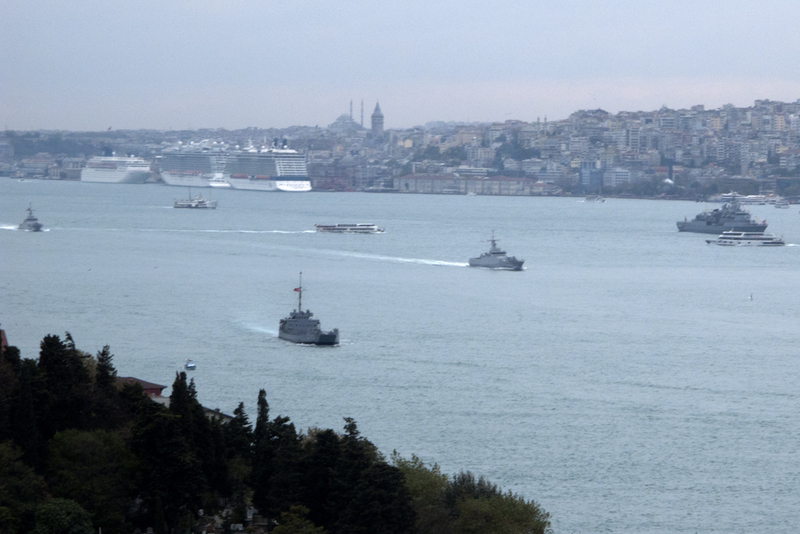 Two patrol boats on Bosphorus. Photo: Kerim Bozkurt. Used with permission. 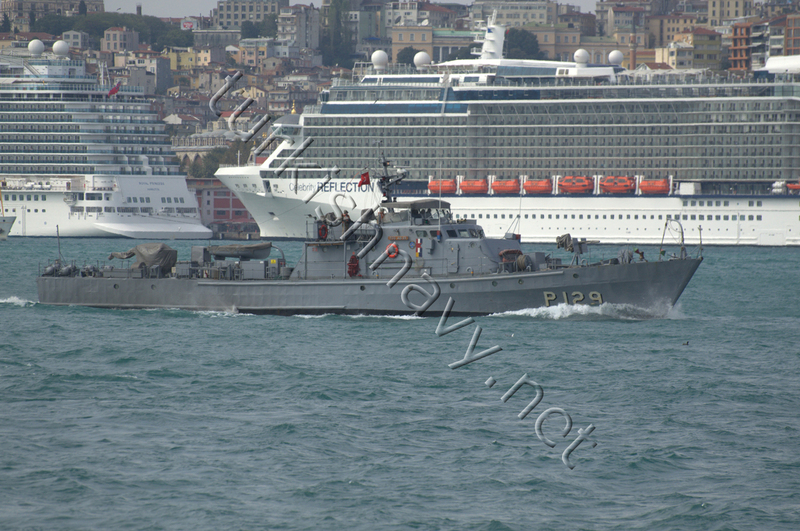 The patrol boat P-1200 TCG Tuzla passing through Bosphorus. Photo: Kerim Bozkurt. Used with permission. 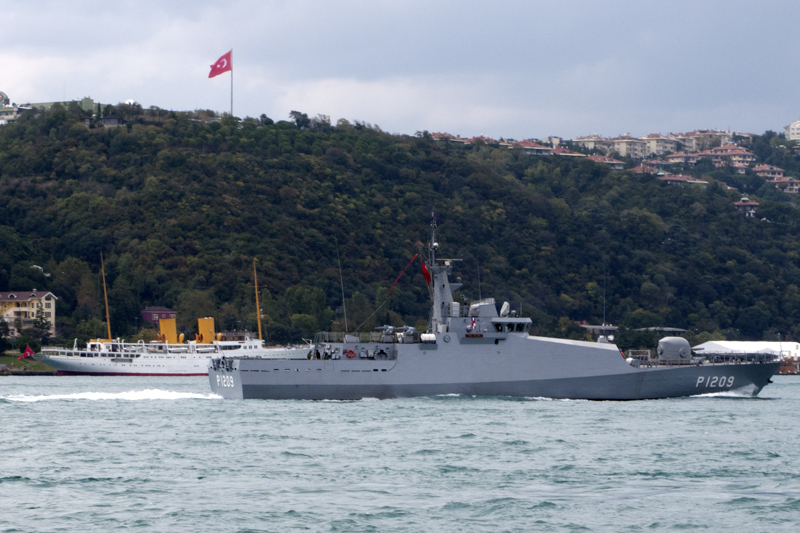 The patrol boat P-1207 TCG Tekirdağ passing through the Bsophorus. Photo: Kerim Bozkurt. Used with permission. 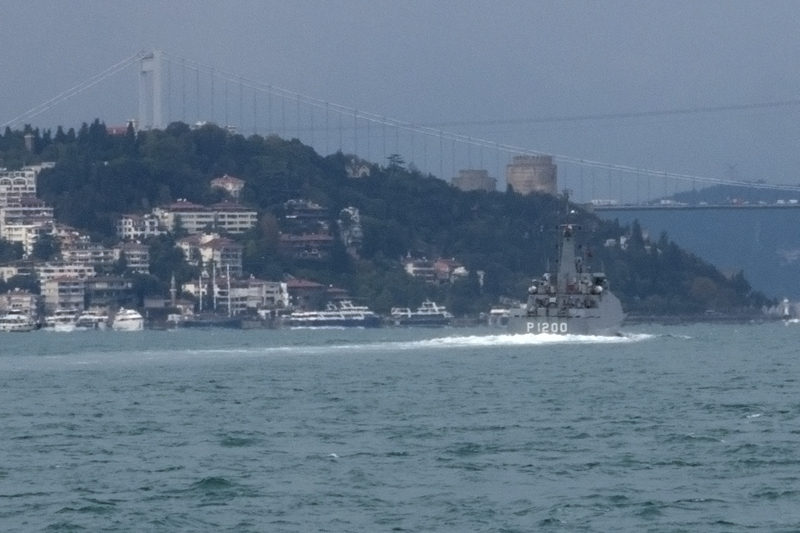 The patrol boat P-1209 TCG Kilimli passing through the Bosphorus. Photo: Kerim Bozkurt. Used with permission. 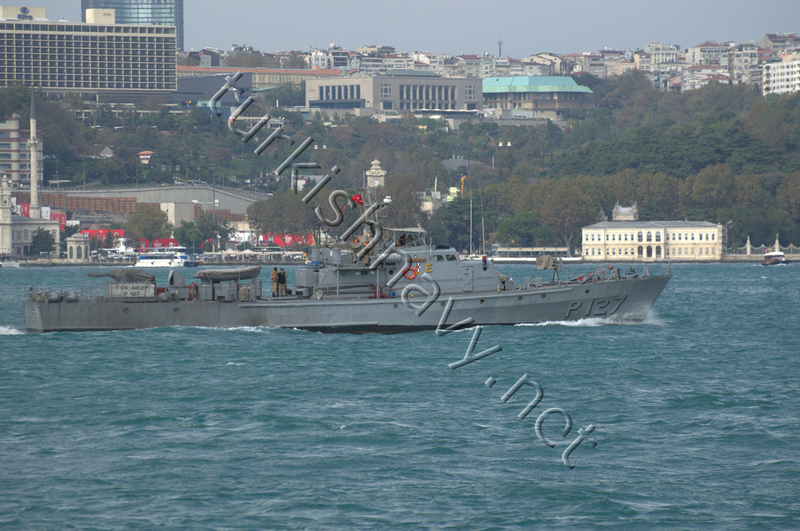 Landing craft Ç-120 TCG Ç-120 passing through Bosphorus. Photo: Kerim Bozkurt. Used with permission. On 4 October the Naval Museum in Istanbul was reopened after a 6 years of renovation and reconstruction. The museum is just across the mausoleum of the great Turkish Admiral Barbaros Hayrettin Paşa. The MEKO 200 Track II class frigate F-244 TCG Barbaors was in Istanbul to take part in the reopening ceremony of the naval museum. She is the only ships that carries the old battle ensign of Admiral Barbaros Hayrettin Paşa. 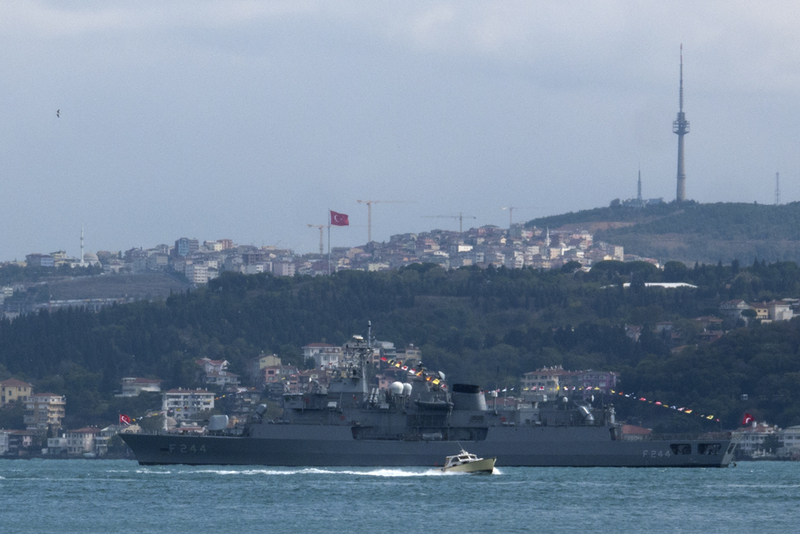 The ship spotters were also able to witness more Turkish warships. 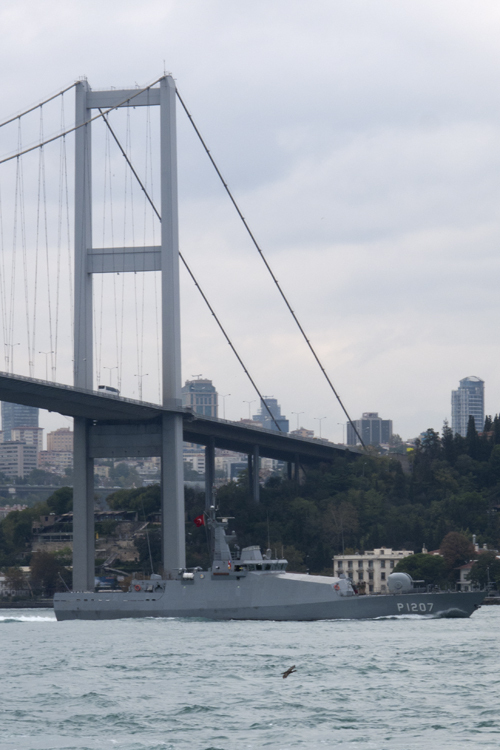 The two old patrol boats TCG AB-27 and TCG AB-29 which passed through the Bosphorus will soon be replaced by newer boats of the Tuzla class such as TCG Tuzla, TCG Tekirdağ and TCG Kilimli seen passing through the Bosphorus later.